Recent years have seen a turnaround in the way we think about fats. In stark contrast to the fat fears of the previous generation, today’s scientists are now recommending certain key fats as essential human nutrients. Chief amongst these, the Omega oils, polyunsaturated fatty acids (PUFAs) with a double bond that the human body cannot synthesize by itself. And what happens if the human body becomes deficient in these powerful nutrients. To quote Udo Erasmus, (Author Fats That Heal, Fats That Kill) “Omega 3 deficiency symptoms include growth retardation, vision & learning problems, motor incoordination, weakness, tingling in arms & legs, behavioural changes. All except the first are symptoms used to diagnose MS.”— (lecture). 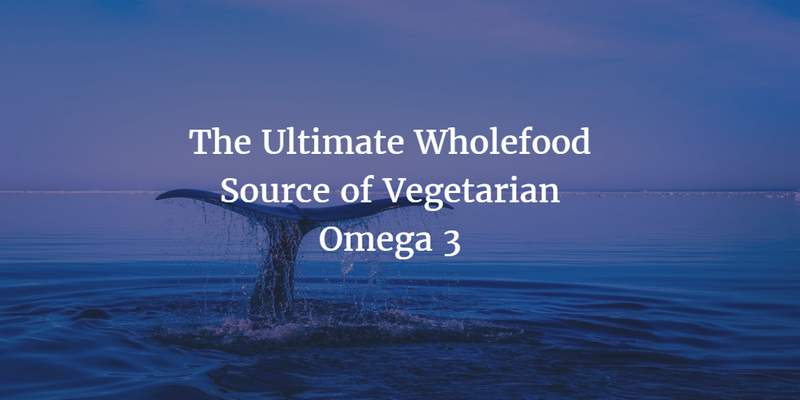 This article will explore the powerful role of fatty acids in human health, and particularly the awesome power of organic marine phytoplankton powder in providing a clean, ethical and sustainable source of Omega 3. What makes Omega 3’s so powerful? These complex fats have a primary role in the membranes of our cells. They are foundational in making blood clotting hormones, and helping the artery walls contract and relax to maintain a natural heart rhythm. They markedly lower inflammation. One key study demonstrates a lower risk of sudden cardiac death by 50% in those that consume high levels of Omega 3 (ref). Mental Health – Studies show that people who consumer high levels of Omega 3 are less likely to be depressed. (ref) Notably, EPA (one of the 3 types of Omega 3’s, and the one in which marine phytoplankton is highest) appears to be superior in this regard than either ALA or DHA. Why is marine phytoplankton the ultimate form of Omega 3? If we examine why fish oil, the most commonly known source, is high in Omega 3 we see that it is so because fish eat algae. It is algae, and especially marine phytoplankton which are the primary producers of Omega 3 in the food chain as demonstrated by the species which eat most of them: sardines, anchovies, salmon tuna, mackerel, etc. With a biomass which exceeds that of all marine animals combined, phytoplankton uses complex aerobic pathways to synthesize fatty acids. So by eating phytoplankton, humans can essentially mimic the method by which fish so successfully gain a robust immune system. Why is phytoplankton a superior form of Omega 3 than fish or flax? Heavy metals in fish is now a major health issue, with mercury a particular threat, as well as lead and DDE (the toxic product which appears when the pesticide DDT breaks down) In addition, PCB’s (polychlorinated biphenyls) are synthetic chemicals now appearing at toxic levels in fish, and the effects of these are so severe as to cause cognitive impairment in heavy fish eaters within a matter of months. This is where marine phytoplankton, and particularly that grown in climate controlled bioreactors as opposed to the open ocean, offers a cleaner, healthier and distinctly safer solution. Not only does ingesting phytoplankton connect you with the primary source of EPA in the natural world, but you can do so with the surety that you are ingesting no nasties of any kind, no toxic residues, no heavy metals, no pollutants. Eating Marine Phytoplankton will Help Wild Fish Stocks. Over a million tonnes of wild salmon are farmed every year. And how are these poor creatures fed. The terrible truth is that they are fed largely on the flesh of wild caught fish. As a rough estimate, it takes 5 pounds of commercially caught fish to create one pound of famed fish. Clearly, this is unsustainable and, in addition the farmed fish have radically lowed immunity than their wild counterparts. The final kicker to all this is that, in recent years, scientists are noticing that even these expensively farmed fish, fed on other fish, are not nearly as high in long chain fatty acids as they once were. In short, the whole aquatic food chain is showing signs of depletion and disease, which means we have very little ethical choice but to avoid it altogether. By choosing to get your body’s EPA requirements from phytoplankton powder, you can omit fish from your diet, and still gain the benefits of these powerful life-enhancing long-chain fatty acids. Of the three Omega 3 fatty acids, EPA, DHA and ALA, it is ALA most commonly found in the vegetable kingdom. Flax, walnut and hemp are all good sources of ALA, and it’s commonly asserted amongst vegetarians that the body simply converts ALA into EPA anyway. The fact of the matter is that our ability to convert ALA into EPA is poor, at best with estimates falling between 8% and 20% efficiency. This isn’t to say that ALA isn’t itself a powerful, important thing to include in our diets but if we’re specifically looking at some of the studies which have been done over the beneficial effects of Omega 3’s, it is particularly EPA and DHA which appear to hold the most promise for human health. For this reason, fish oils have are seen as more powerful than plant based Omega 3’s. As this article has demonstrated, the dangerous levels of pollutants now found in all ocean borne fish mean that, for the first time in our evolutionary history, the oceans are no longer a safe or sustainable source of food for our species. Fortunately, thanks to the power of the humble marine phytoplankton, we can still get the oils we need, but we don’t have to cost the planet in the process.